Reviews are absolutely critical to your business—and they can be absolutely frustrating and confusing to a business owner. Surveys find that 88% of consumers trust a review as much as a personal recommendation, making them vital for building good word of mouth for your enterprise. But it can be tremendously difficult to generate positive reviews, and charges have been flying that some online review sites engage in extortion and preferential treatment. The review environment is so brutal that it’s understandable that many businesses just give up. Guess what? Giving up is not an option. Even if you don’t like the way some review sites do business, and even if you feel like the odds are stacked against you, you still need to manage your review strategy. Not only do your customers look to reviews to make decisions, but review sites play a big role in your local SEO optimization. Below, we’ve outlined some of the issues businesses face when it comes to online reviews, and provided solutions to the problems. It’s unfortunate, but people are more likely to leave a negative review than a positive one. Of course, the easiest solution would be to ask someone and stand over their shoulder while they do it. Yelp specifically discourages businesses from asking for reviews. This doesn’t mean you can’t ask for a review, but according to their website, “Yelp actively weeds out suspicious reviews through a combination of community self-policing and automated filtering; aggressively solicited reviews can ring hollow at times and end up flagged by users or the website for removal.” Because this is meant to prevent paying for reviews, you can technically ask, but it is safer to just encourage people to check out your Yelp or Google+ page, which should gently nudge them to leave a review. The solution: To generate more positive reviews, encourage your happiest customers and clients to visit your review pages. We suggest sending an email. Explain that by reviewing your business, they are helping other great people to find you and have a great experience, too. The DSS™ Feedback Module makes it super easy to generate positive reviews, and even helps to discourage negative reviews. If you are using DSS™, be sure to take advantage of this awesome feature! 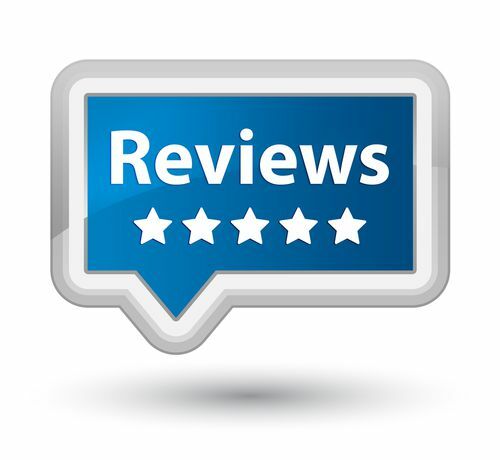 Reviews can be filtered out if the reviewer is not an “established user.” An established user is active on the site, has a completed profile, connects with a large number of friends, and regularly leaves reviews or feedback. This means a review that has been filtered out may “resurface” if the user becomes more established, or conversely, a review may be filtered out if the user becomes inactive. Filtered reviews are still visible on Yelp, but they are not prominent and most people don’t know where to look for them. The solution: To generate reviews from established users, find friends using your personal Yelp profile. You can upload your list of email contacts and Yelp will connect you to the users associated with those email addresses. By adding these friends, you are not only helping to make them more established, but also you are able to see which ones already are established users. You can then make a targeted effort to reach out to those people. Although both sites deny deleting reviews, both Google+ and Yelp seem to remove—not just filter out—reviews for a handful of reasons. If you receive a large number of reviews all at once, the sites do not see these as legitimate reviews. These review sites have algorithms in place to remove reviews if they start popping up in waves, which can be especially frustrating for businesses that offer a special deal or become involved in an event. These instances should be exceptions to the rule, but because it is up to an algorithm the reviews are often removed. Paying for reviews or offering an incentive is also a big no-no, and will get your reviews—and even possibly your business page—taken down. Yelp and Google+ will also remove or block reviews that are all coming from the same IP address, so if you’re considering a “review station” in your office, think again. This is a red flag, and indicates the review may not be organic, or that the customer was pressured into writing a positive review. The solution: Make sure you are organically generating reviews. Let’s start by getting rid of the bad ideas first. You must not pay for reviews. You must not ask friends or employees to submit favorable reviews. If any marketer promises you a specific number of positive reviews for a fee, run away—fast. Remember, Yelp discourages businesses from asking for reviews. However, you can ask clients, patients, or customers to visit your Yelp or Google+ page; some will use the opportunity to leave a review. When you request a visit to these review sites, make a personal invitation, not a mass request to all your contacts; as we’ve noted, a flood of reviews all at once will earn you unfavorable attention. Follow up with patients or clients after they leave your office. You want to give them a gentle nudge to leave you a review, but if you do it while they’re still in the office—or worse, set up a review station in the office—any positive comments may end up being removed by the review site. Once again, NEVER offer incentives for reviews, even if you think you can get away with it. Yelp and Google+ are smarter than you think, and you WILL get caught, and your business WILL be penalized. If that happens, well, even we can’t promise to fix it. There are a number of big frustrations when it comes to collecting great reviews. Like most good things, a strong review strategy is going to require some time and effort. Once you get started, you WILL see results! 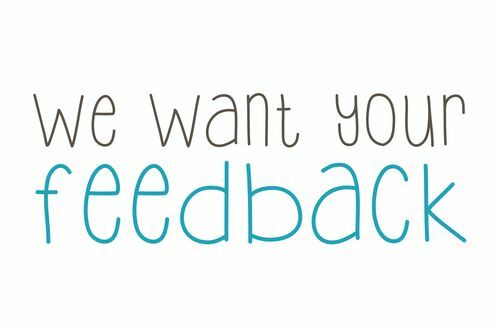 Do you have suggestions for generating great reviews? We’d love to hear about it! Comment below with your thoughts.